Talus Research + Design, a Colorado company that develops field-ready first aid solutions, has introduced its first product, the Zero° Collar™ (“Zero Degree Collar”). The Zero° Collar is the first cold therapy specifically designed for field-side use to alleviate pain and inflammation in the head and neck following athletic injuries that are often associated with concussion. We are passionate about creating prevention awareness and developing products that help manage the symptoms of concussions, head and neck injuries. Talus Research + Design, a Colorado company that develops field-ready first aid solutions, has introduced its first product, the Zero° Collar™ (“Zero Degree Collar”). The Zero° Collar (http://www.zerodegreecollar.com) is the first cold therapy specifically designed for field-side use to alleviate pain and inflammation in the head and neck following athletic injuries that are often associated with concussion. Fast, therapeutic cold in a convenient, effective package provides comfort and sets the stage for recovery. The Zero° Collar was developed by a team of medical device experts with more than 60 years of combined experience creating medical technologies. Its custom, proprietary design provides an easy-to-use, ergonomic, cost-effective alternative to a single ice pack or cobbling together multiple ice packs with tape. It mitigates the need for field-side coolers or freezers; a simple burst of the pack instantly cools the product to near 32°F (approximately 0°C, as suggested by the product name). This new product was designed and is manufactured in Colorado. There is research supporting the use of full-body cryotherapies for recovery from concussion and traumatic brain injury. These types of injuries are often accompanied by painful strains to the soft tissues of the neck and head region, which the Zero° Collar is designed to alleviate. The Zero° Collar is a one-size solution with full neck cooling that minimizes dead spots. It is self-cooling upon activation and secures quickly with an attached hook-and-loop system. It stores easily and has a shelf life of two years or more. The Zero° Collar is designed to help emergency medical technicians, first responders, athletic trainers, and parents provide immediate, ice-like cooling to relieve pain and inflammation from injury to the head and neck, before and during transport to a medical care facility. It can be used in any setting, including the playing field, home, or wilderness since it will cool instantly upon activation. The Zero° Collar™ is available now for purchase on Amazon.com (http://www.amazon.com). For bulk purchases and retail or wholesale distribution inquiries, email sales(at)zerodegreecollar(dot)com. 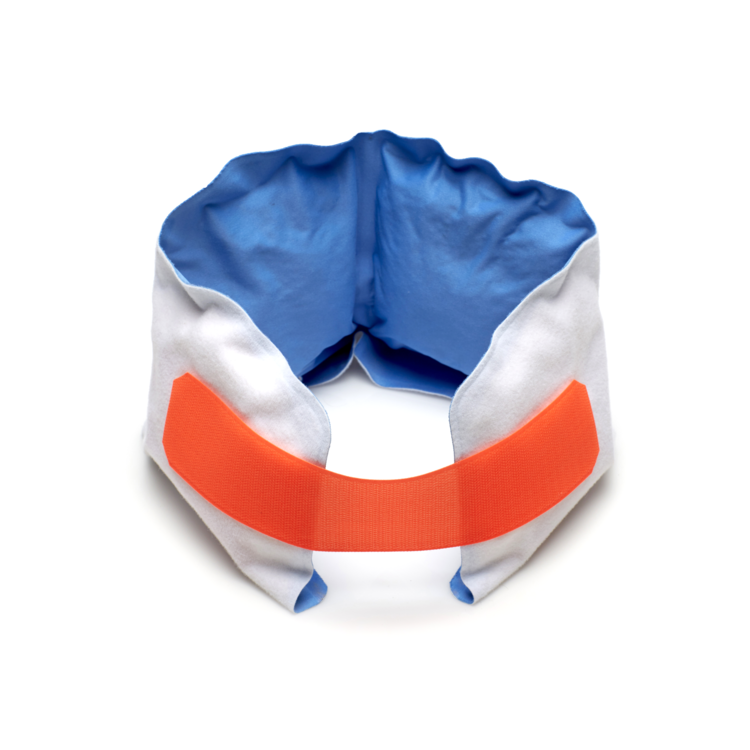 The Zero° Collar (http://www.zerodegreecollar.com) is designed for immediate, field-side therapy of joint and soft tissue damage. The Zero° Collar is available for purchase on Amazon.com. For more information, find Zero° Collar on the web, Facebook (https://www.facebook.com/zerodegreecollar/?fref=ts), and Twitter (https://twitter.com/ZeroDegreeCollr). Colorado-based Talus Research + Design was founded in March 2011 and is dedicated to the development of field-ready hypothermic first aid products that provide effective and affordable cooling for all sports, including those that carry a risk of concussion and traumatic brain injury. Ongoing materials research and product development will see the rollout of additional hypothermic first aid solutions designed to help emergency medical technicians and first responders provide immediate cooling for pain and inflammation before and during transport to a medical care facility.